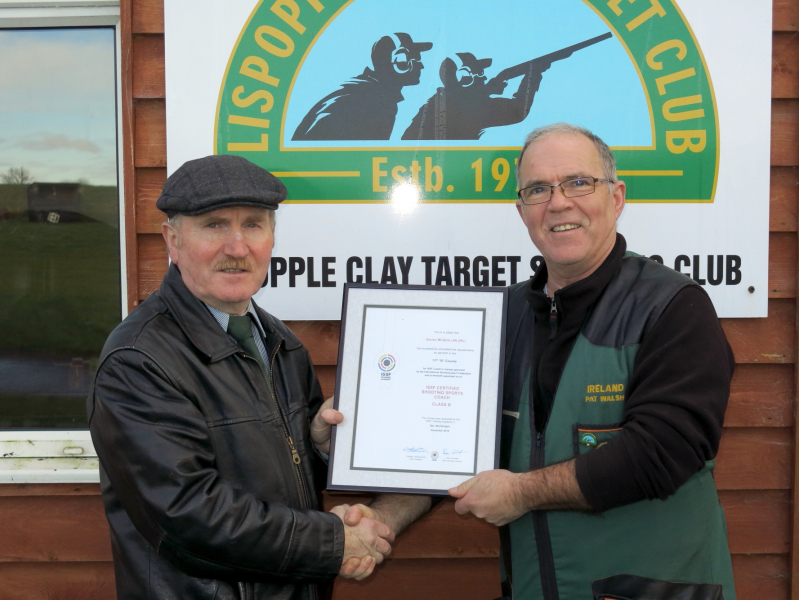 Congratulations to Declan McQuillan who is now a fully qualified ISSF "B" Licence Coach. Declan was presented with the Certificate, Badge and Cap of a "B" Coach by Bill O'Brien, Hon. Secretary, on behalf of the ICTSA, who are the National Federation in Ireland for Shotgun Disciplines for the ISSF world body. 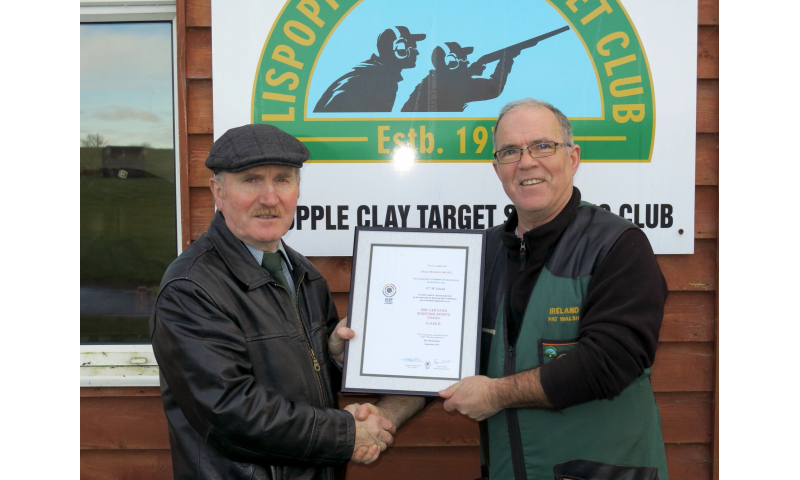 Well done to Declan for putting in all the hard preparatory work and in successfully attending the ISSF Course and in gaining the qualification and to the ICTSA for funding the course. The ISSF International Shooting Sport Federation is composed of those National Shooting Organizations which are duly recognized by the ISSF as the sole controlling body of amateur shooting sports and further recognized by and affiliated with their National Olympic Committee. Membership is open to one Federation from each country. Countries with two member federations recognized prior to 1989 may retain dual membership. At present, 164 national member federations are affiliated to the ISSF.